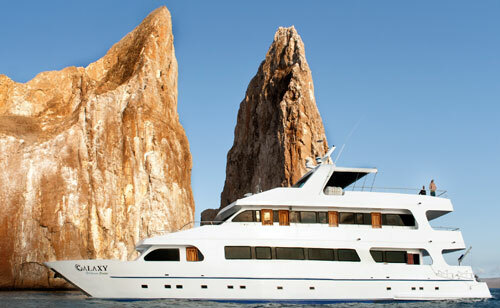 Enjoy your Galapagos holiday on board our First Class Galapagos cruise: Galaxy Yacht. 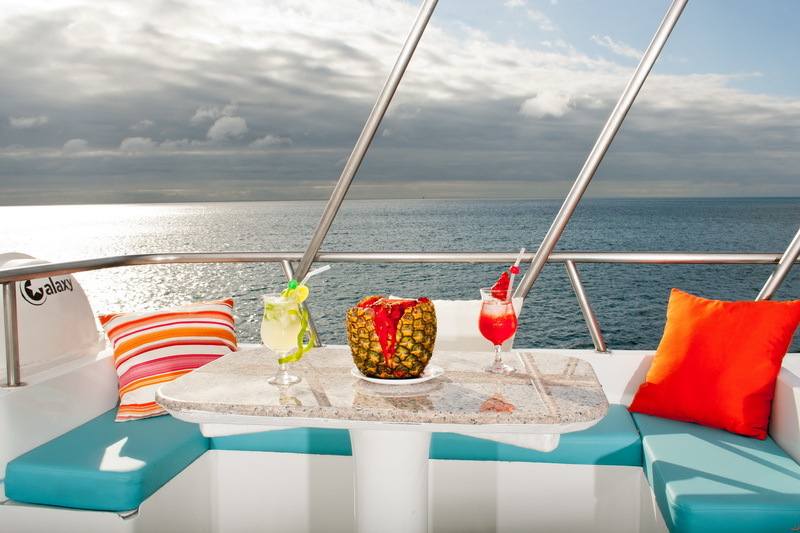 On board this well-designed vessel, you can enjoy complete days of explorations and adventure in an oasis of peace and tranquillity. 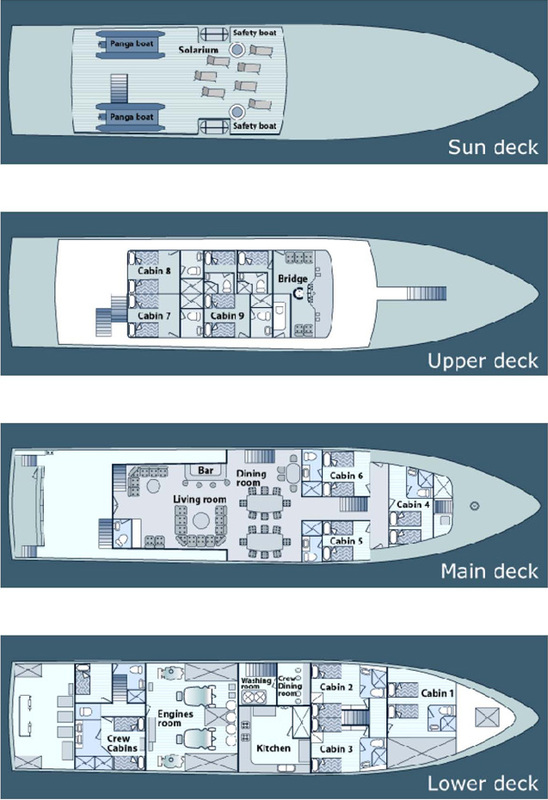 Galaxy has 9 beautiful and comfortable double cabins for 16 passengers; 3 cabins are located in the upper deck, 3 in the main deck and 3 in the lower deck. 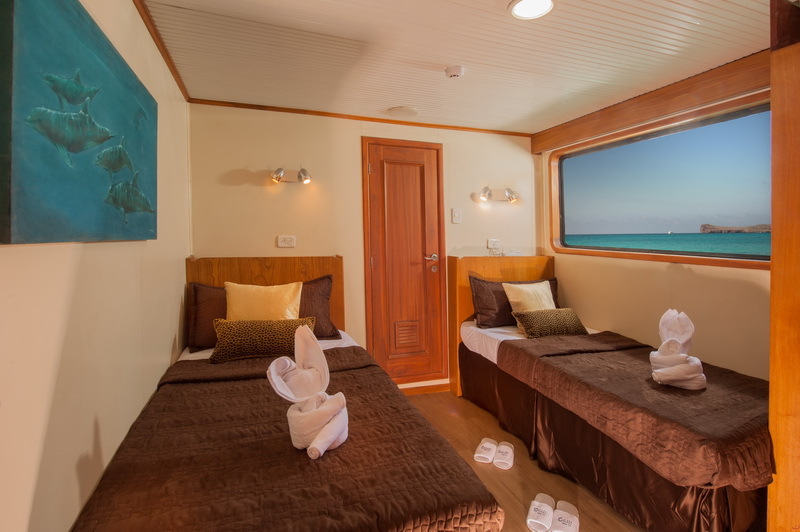 Our physical capacity is for 18 passengers being this one advantage more to offer space and facility to accommodate single passengers, tour leaders, which creates on board a very personalized service. 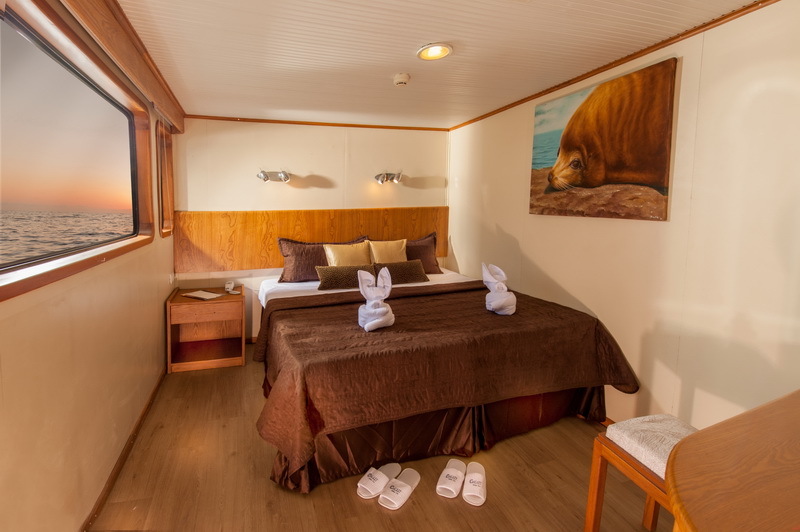 Each cabin has private facilities: private bathrooms, cold/hot water; air conditioned, hair dryer, telephone for internal communication on board, safe box, and high speaker. 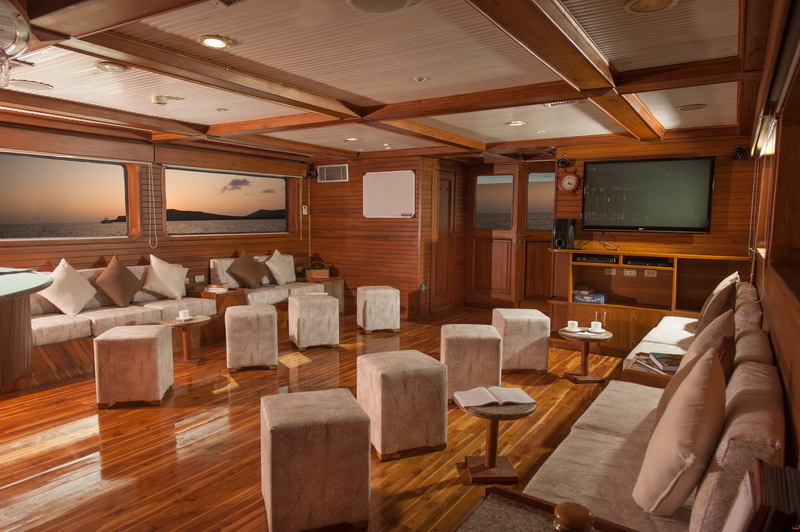 Galaxy Yacht offers a spacious sun deck with a fantastic area to enjoy Galapagos’ landscapes, dinner area, lounge, bar and small library. Our activities on board: hiking, snorkeling, swimming, kayaking, and animal watching. We provide free snorkel gear (mask, tube and fins) and kayaks to complete your adventure in the island. 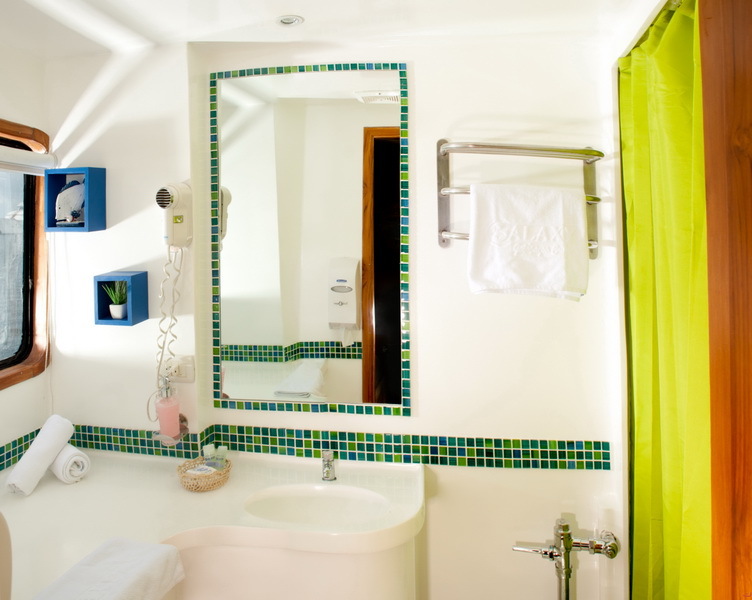 You will find a bottle of water in your cabin the first day; you can use it and carry on when you land. This bottle can be refilled with fresh water from the dispenser placed in the lounge. 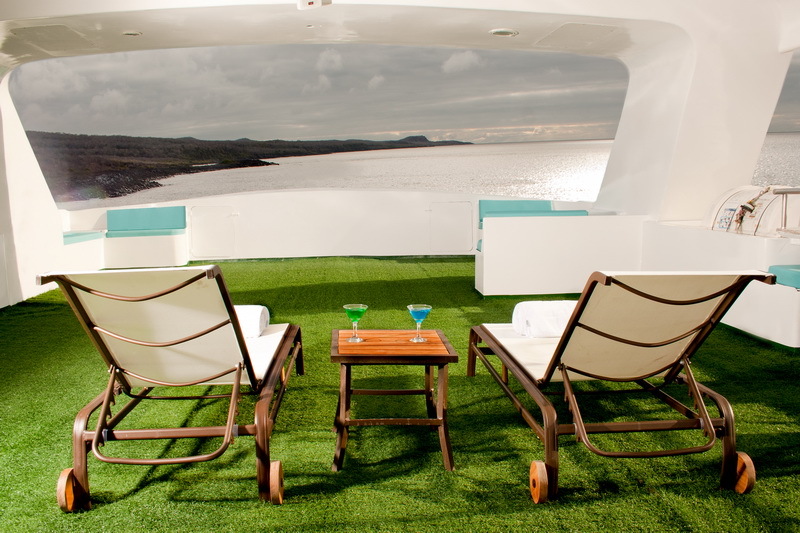 Lounge services: We offer a variety of table games, videos and books for your enjoyment. 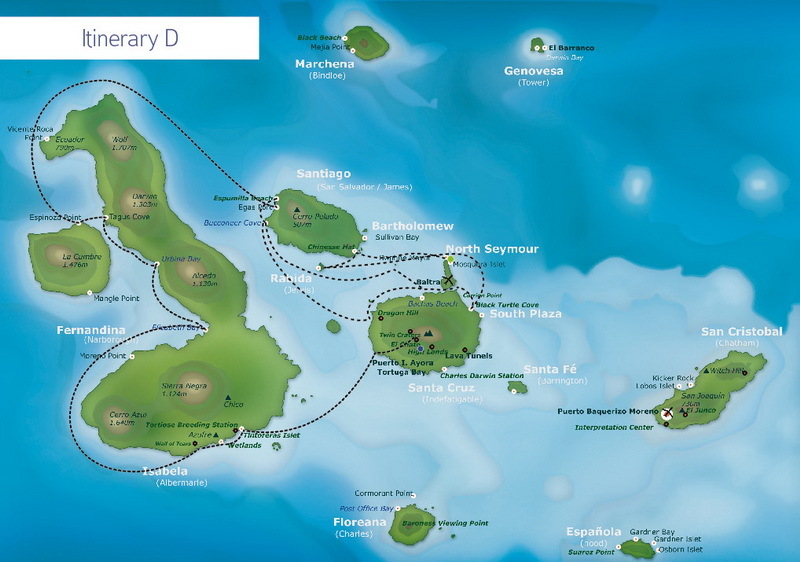 Be sure to return the books which you borrowed to the lounge at the end of your cruise. Returning them will offer enjoyment to passengers arriving after you. 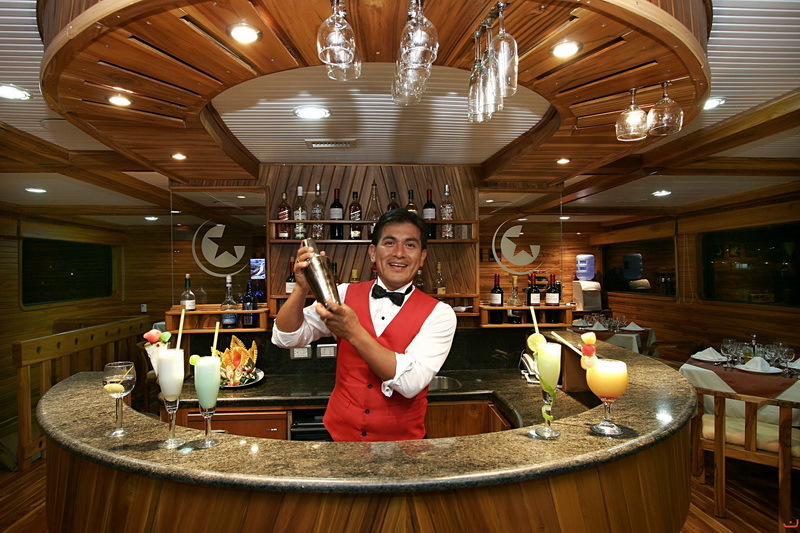 Bar service: We offer a variety of sodas, cocktails, and liquors; please ask to the barman the list of drinks available on board and the prices, please do not forget to check your bill at the end of your cruise. SAFETY BOX On board: We offer a safety box in each cabin for your valuable belongings; please do not hesitate to use it and ask the crew members or your guide about it.